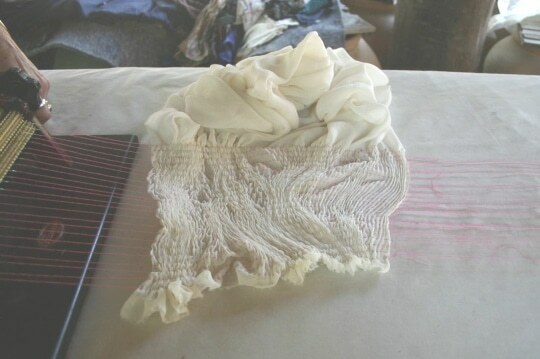 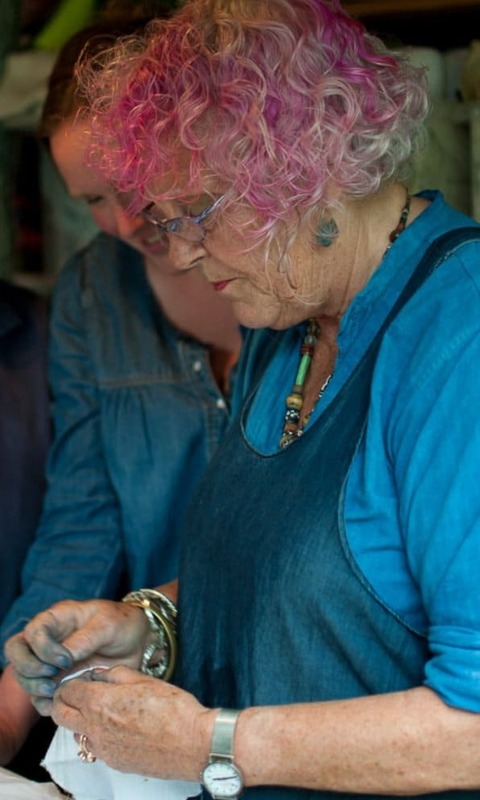 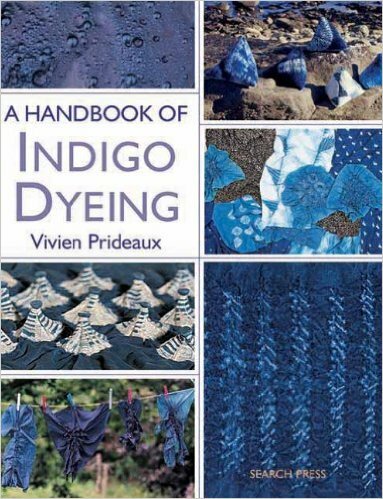 This is world-leading Shibori exponent, Vivien Prideaux. 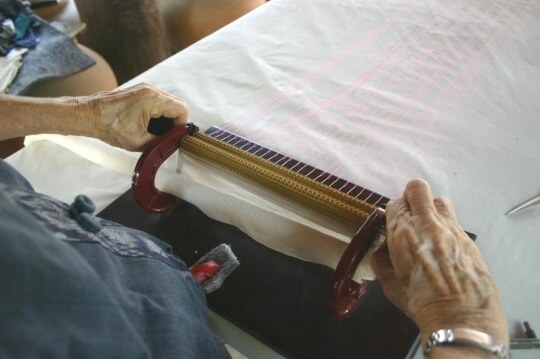 Vivien has used the Princess Pleater for over 30 years. 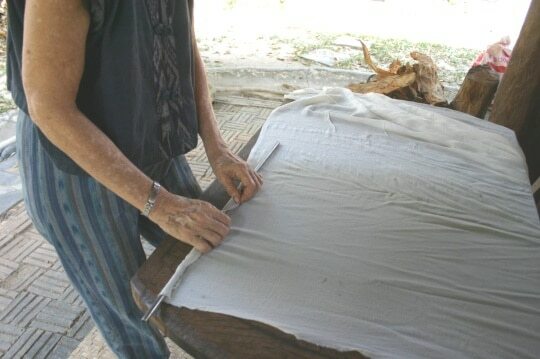 The pictures below show Vivien working with her Princess Pleater. 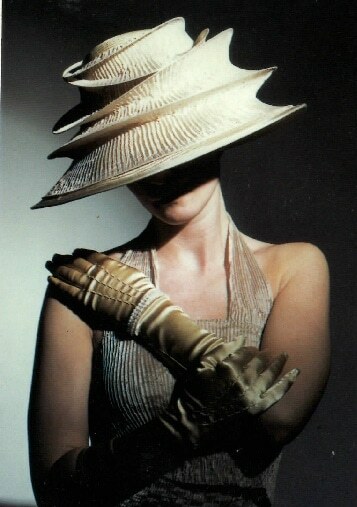 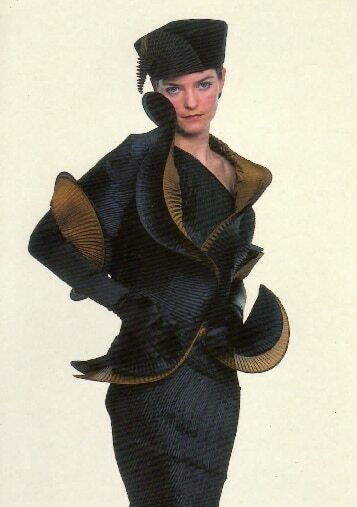 And showing pleating of extreme style and finesse, here is stunning work by Jo Buckler.